In many ways, 2017 was tumultuous year for most. Clashes in the social, political and economical arenas were prevalent in the media and in our industries. However, instead of focusing on the challenges we faced, the Truspace team recently met to look back and reflect on the positive accomplishments we achieved last year. We quickly realized that 2017 was a very exciting year for Truspace, and as we continue to grow, we wanted to share some of the milestones we’ve crushed along the way. One thing was abundantly clear – our success was due to the help of our passionate, hardworking and creative team, and our fantastic clients across Canada who entrusted us to deliver on their vision. We would like to take a minute to brag a little bit, and share some GOOD news on how Truspace crushed it in 2017. 2017 was a year of impressive growth for Truspace as we moved closer to our goals of becoming a leading design build company in Canada. To meet this explosive growth, we welcomed over a dozen talented professionals to our team who embrace our core values of innovation, passion, curiosity, dedication, and courage. Together, they have brought a strong wealth of knowledge, expertise and invaluable experience and will support our continuing expansion this year. You can see the full Truspace team on our website. We are powered by our people. Truspace is built on the foundations of our teams – from designers and project managers through to senior leadership; our people are what make our business great. We spent much of 2017 striving to create a great workplace culture, because it’s only when our team feels happy, safe and valued that they can provide the best level of service to our clients. During the summer, we expanded our Edmonton headquarters and moved into a bright, fresh, creative and open-plan space that would more easily accommodate our growing team, and truly reflect our company’s culture of commitment, integrity, team, and excellence. Unique soft seating areas, team-based floor plans and best practice working methodologies mean our team can continually develop innovative design build solutions for our clients. In December we held a two-day staff retreat at our Edmonton headquarters. With our design build teams spread out throughout Canada during most of the year, this was a great way for us all to come together at a magical time of the year to recognize them and thank them for their great performance, exceptional effort, and on-going commitment to Truspace. Finally, at the end of the year, we were very excited to launch a brand new website design that truly reflects the creative, forward-thinking approach we take every day to when it comes to delivering inspirational, motivational and innovative spaces where businesses can thrive. 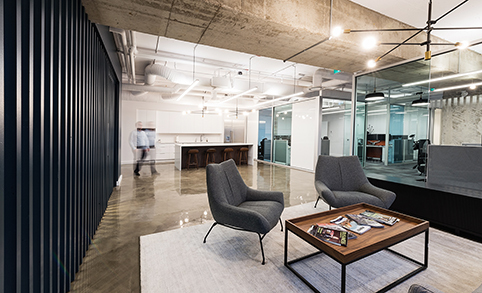 As one of Alberta’s leading property development and management companies, Procura wanted a forward-thinking new workplace that made maximum use of the available space. Beautiful high-end finishes such as polished concrete floors, open plenum ceilings with exposed ducts, specialty and strip lighting, and custom millwork that reinforces Procura’s stature and brand ethos. Working closely with our client, Truspace created a unique space, including a show suite, to entice and delight future tenants. See the full case study on our website. For their new 3,000 sq ft. office space, commercial real-estate firm Jilani Group Inc, was seeking something special; a sophisticated, contemporary environment that reflected their unique brand and culture. Truspace answered with a gorgeous design including a welcoming reception area that features polished marble walls and floors along with custom millwork, a series of private glass-enclosed office spaces and boardroom, with carefully chosen veneer furniture throughout. See the full case study on our website here. For their headquarters in Toronto, Player One Amusement Group asked Truspace to deliver a brand new inspiring workspace and showroom that would not only support their business aspirations and growth but would reflect their brand and provide a great visitor experience. By carefully considering the company’s needs and aspirations, Truspace created a welcoming, vibrant and collaborative environment that communicates Player One Amusement Group’s brand and leaves employees feeling inspired and connected whether it is working, collaborating or socializing. 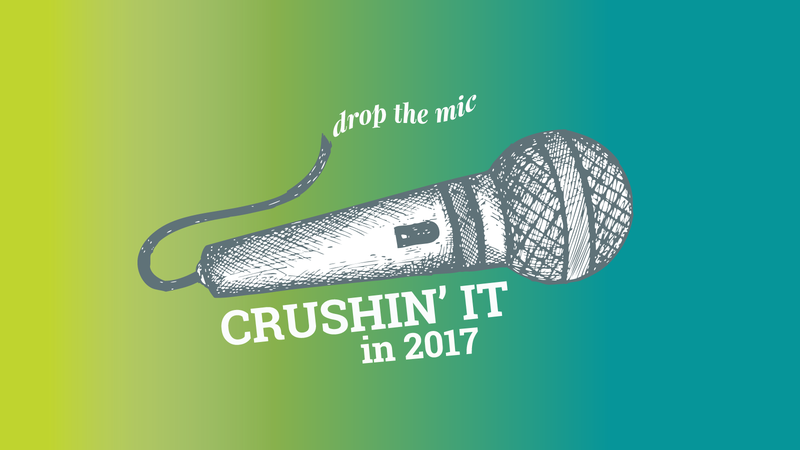 After hitting a number of key milestones in 2017, we are so excited for what 2018 has in store for us. 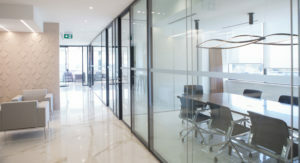 As more forward-thinking companies across Canada embrace our unique TruBuild construction process which combines the expertise of in-house interior designers, project managers, and construction teams to deliver projects on time and budget, we already have a number of high profile projects in the works. We look forward to sharing more of our work throughout the year, and we invite you to sign up for our newsletter shown below so we can keep you updated on our dynamic and inspiring progress.